I was delighted and horrified by the wicked dessert that David Higgs presented for the five contestants to replicate in last Wednesday’s pressure test on MasterChef SA. The dish was beautiful. 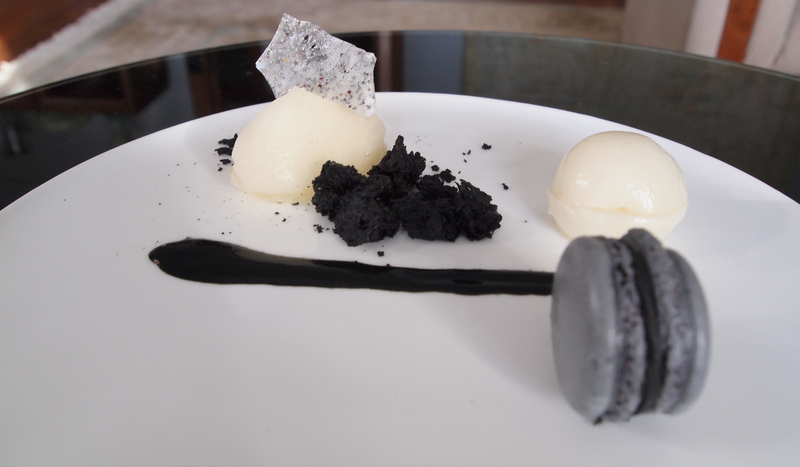 I loved the complementary black and white colours and the flavours of liquorice and litchi. It was painful, though, watching people that I have grown very close to struggle with a slightly sketchy recipe and only two hours within which to recreate it. Full of empathy and bravado, I decided to attempt it myself. Because I don’t have an ice cream machine and neither does my masochistic streak extend that far, I ignored the time constraints. Not too shabby, I suppose. David himself remarked on Twitter (@David_Higgs) that it looked good enough to eat. I’ll take that as high praise. What a mission it was though! I’m very glad that I wasn’t in that pressure test. Will I be silly enough to try any of the other challenges coming up? We’ll have to wait and see. I wish I had one of these. I had to churn the sorbet by hand in a bowl over ice and salt. Old skool. You’ll also need a stand mixer (Kenwood, Kitchen Aid), silicone macaron baking sheet (Silpat, Tescoma, Sweetly Does It), piping bag, whipping siphon with NO2 chargers (iSi, Ibili), isomalt and black gel colouring. These last two are available at good baking shops. P.S. 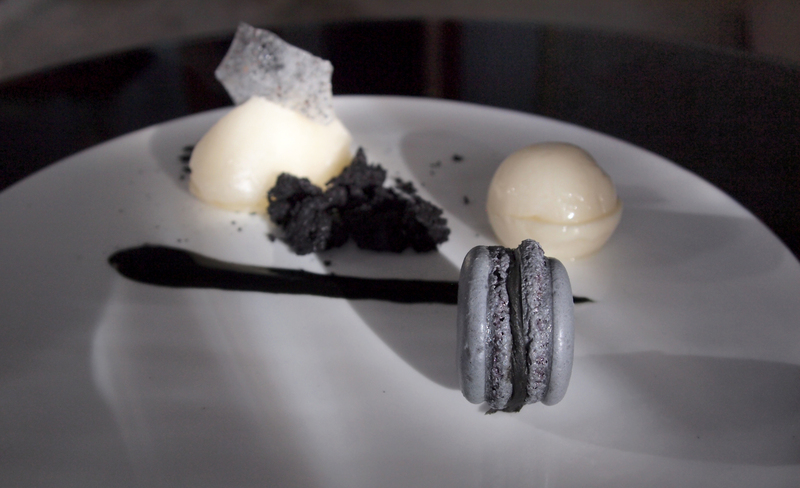 (2013/07/30) The liquorice and white chocolate ganache filling for the macaroons is the most delicious thing ever. It’s seriously addictive. Be warned.